This video was shot using a Canon G9 during two games of bowling last Sunday afternoon. The beauty of having easy access to inexpensive video tools is that we can now create fun stories on a whim. I didn't intend to make a video of our holiday bowling bash, but after taking a couple of shots a storyline unfolded. It's not professional quality by any means but it was a blast to make and share. On a dreary Sunday afternoon, a group of bowlers with the hopes of going pro descend upon the local bowling alley in Bainbridge, NY. There's nothing better than family, beer, fried food and bowling during the holiday season. Music by Tom Petty and the Heartbreakers. The energy of this song seemed to fit perfectly. It's no coincidence that food is on my mind. Larissa and I just finished eating a fantastic recipe from the November issue of Bon Appetit . . . butternut squash risotto with shrimp to be exact. Although I love the recipes in Bon Appetit, it's really the photography that keeps me opening the magazine. I'm not sure when it happened, but at some point in the last two years Bon Appetit has undergone a major shift in the way it chooses to have it's recipes photographed. I have noticed a dramatic change in the way food is depicted. The style of shooting has become 20 times more interesting to me and ultimately keeps me interested in the magazine and its recipes. In an age where print is dying, Bon Appetit is making a strong effort to differentiate itself. For example, when I opened the December issue the other week I saw one of the most creative Christmas cookie spreads I've ever seen. 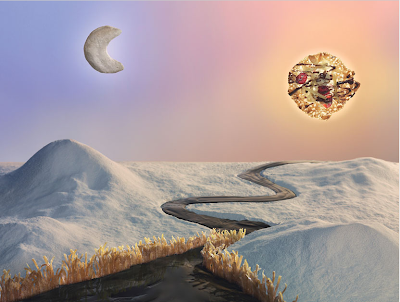 Photographer Isabelle Bonjean photographed 3 beautiful "cookie landscapes" for the December issue. I'm not sure who the food stylist was, but whoever they were, they did an amazing job. Creating surreal landscapes from sugar, flour and chocolate is no easy task. These photographs must have taken considerable time and patience to create. It's creativity like this that sets Bon Appetit apart from other magazines. They are giving photography extra emphasis in their pages and by doing so are keeping readers like me interested in the magazine. I hope they continue to push the bar with photography and that their magazine can continue to survive in an age where many publishers are calling it quits. And for the record, Larissa made the cardamom orange sugar cookies last weekend and they were spectacular! What's your favorite magazine? Favorite cookie? I have put myself in a lot of strange positions in order to get the shot I perceive in my head, but I've never been able to truly get into the sky. Hanging off the side of a cliff, standing on top of a crane, or teetering precariously from the top step of a 12 foot ladder is one thing, but to be able to truly shoot from the air is a completely different beast. I have had a desire to photograph from the air for years and have never had the opportunity. Recently, by a series of unrelated but oddly similar coincidences I have been introduced to the idea of powered paragliding. 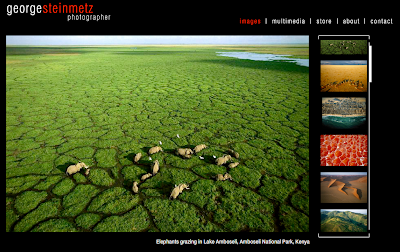 It wasn't long ago that I read an article about photographer George Steinmetz in PDN and was blown away by the uniqueness of his work. The other day I was talking with Zander Hartung, who happens to be a talented filmmaker as well as a paraglider. He reminded me of Steinmetz' work so I went back to take another look. By looking at George and Zander's work, I was inspired all over again to find a way to shoot from the sky. The area in which I live offers a perfect platform for shooting from a powered paraglider. I live in a wide open valley with rolling hills, farmland and unique mountain features and have often dreamed of soaring through the valley. It is my hope that in a few years I will be sharing aerial photographs of Mercersburg and the surrounding areas of Franklin County with you.